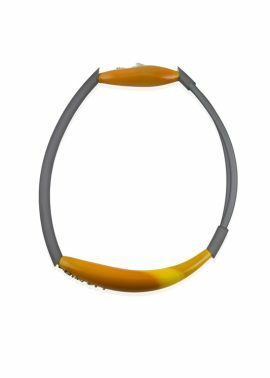 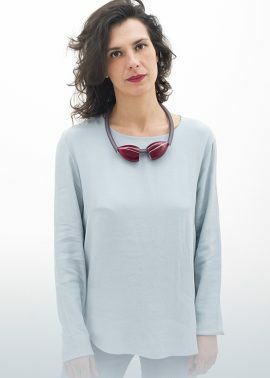 Opacity and transparency balance one another to convey both vivaciousness and strictness in this necklace with elastic string that has got an elegant, linear design. 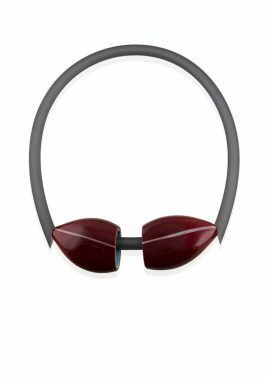 Linear and lightweight, comfortable and easy to wear. 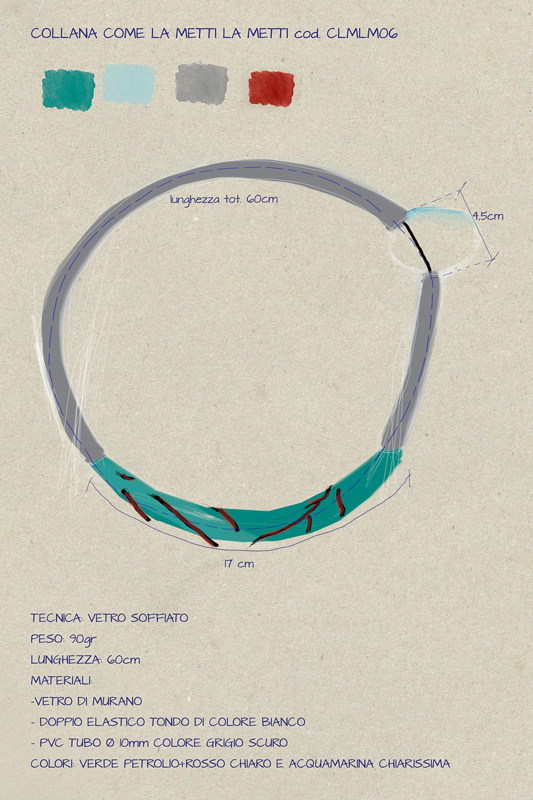 The “COME LA METTI LA METTI ACQUAMARINA” necklace is composed of an opaque half moon element and an ethereal, bright, transparent one. 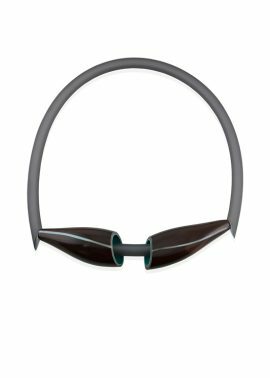 It’s created without any latch and it adorns the face with grace and delicate shapes assuming different positions. 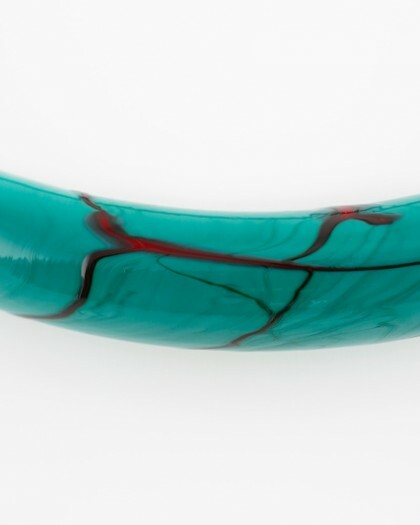 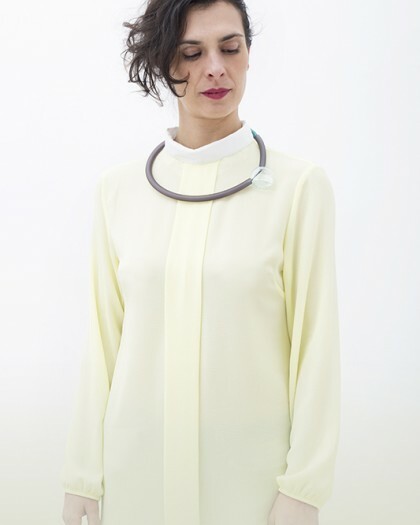 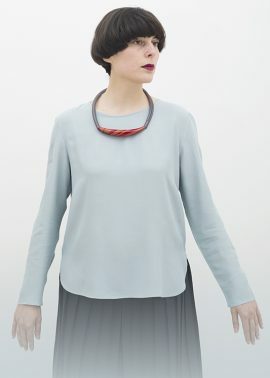 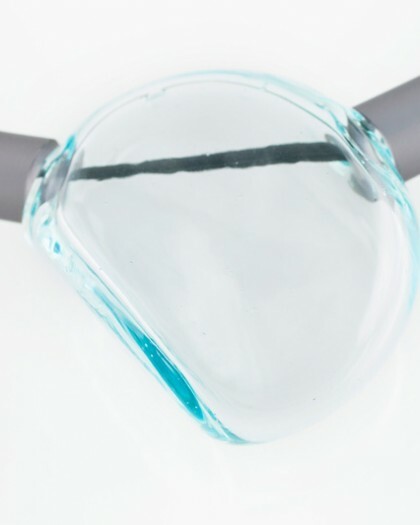 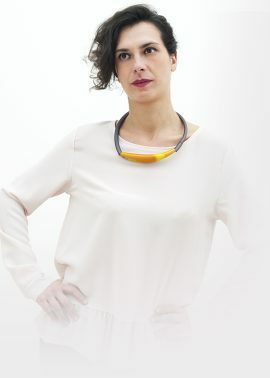 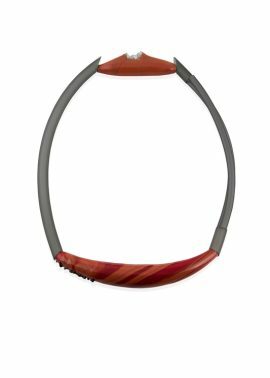 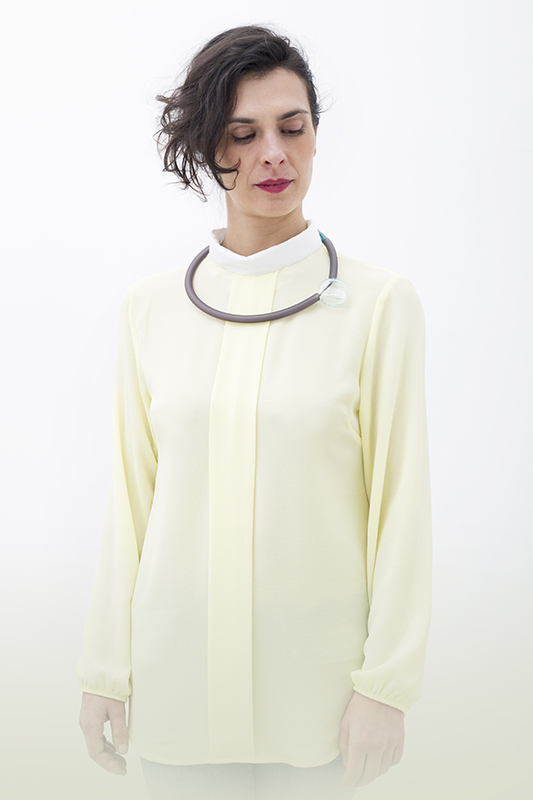 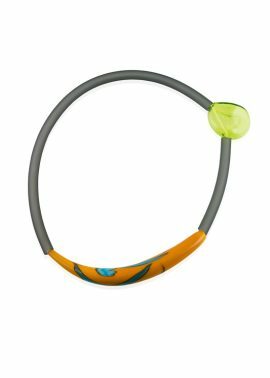 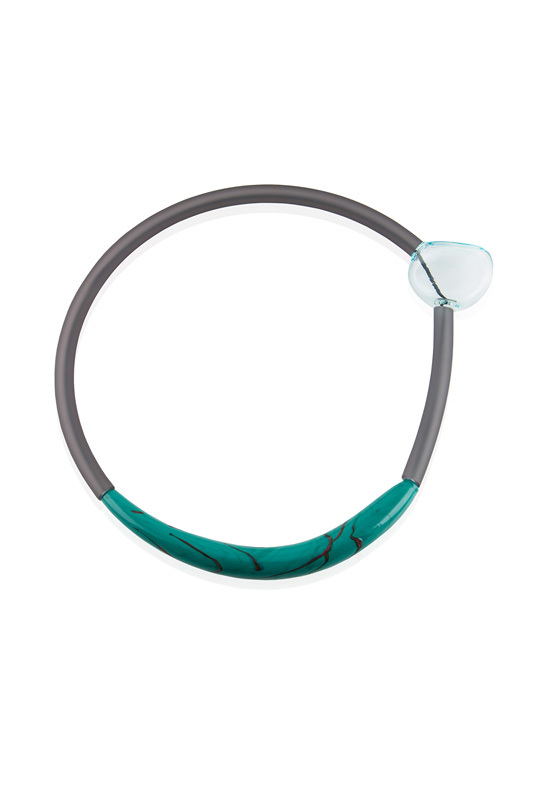 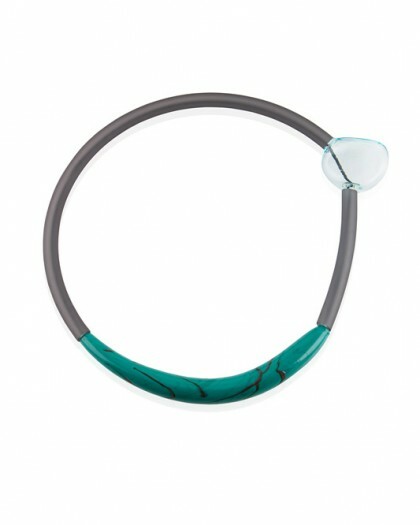 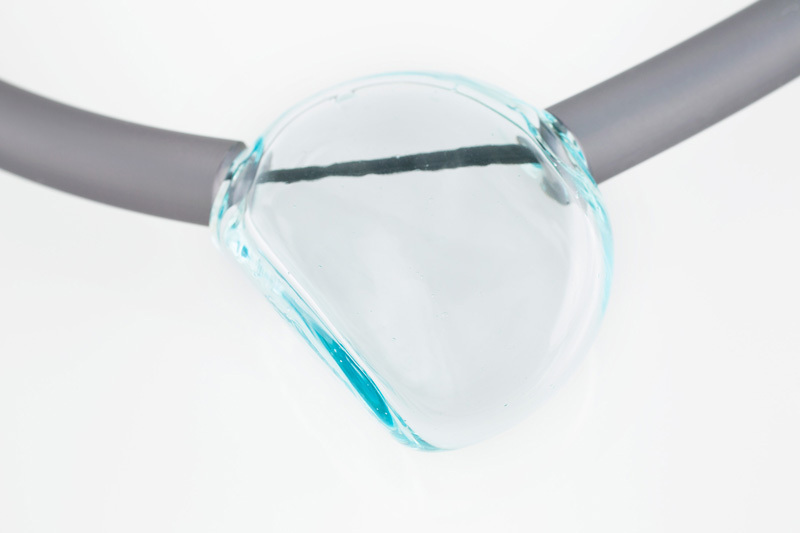 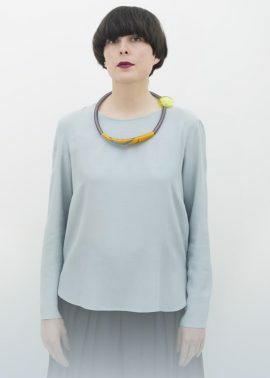 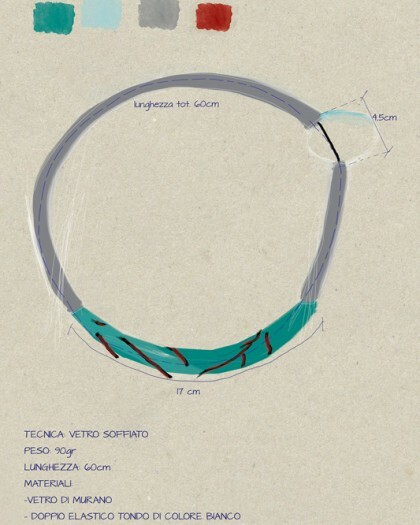 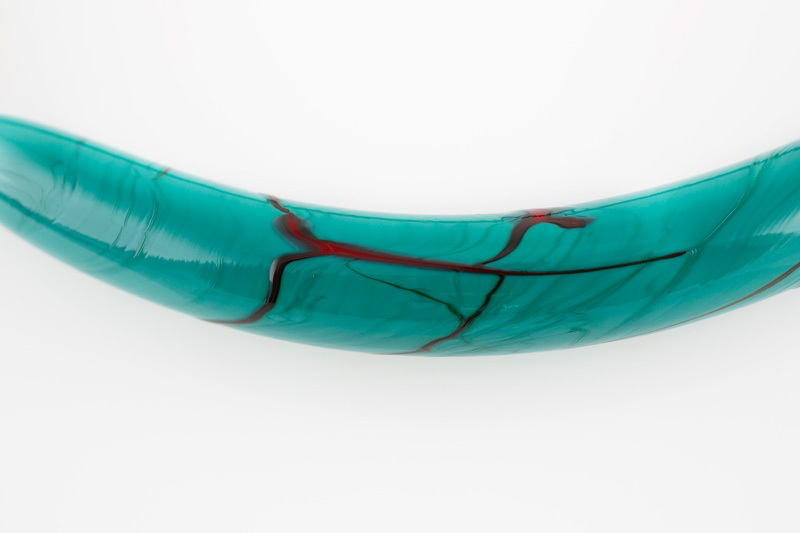 The necklace is composed of two Murano glass elements that are blown by mouth and hot-worked, a PVC’s tube (Ø 10 mm) and a black double round elastic.